Meet the innovative wired headphone from Aftershokz that allows you to enjoy your music and still remain completely aware of the sights and sounds around you. This headphone is a running essential for anyone who enjoys the motivation that can come from listening to your favourite tunes. With bone conduction technology, it delivers music through your cheekbones, keeping your ears open to hear ambient sounds. Their OpenFit design ensures maximum situational awareness, as well as providing a secure and comfortable fit. With the Sportz Titanium headphone sound quality is not compromised either. 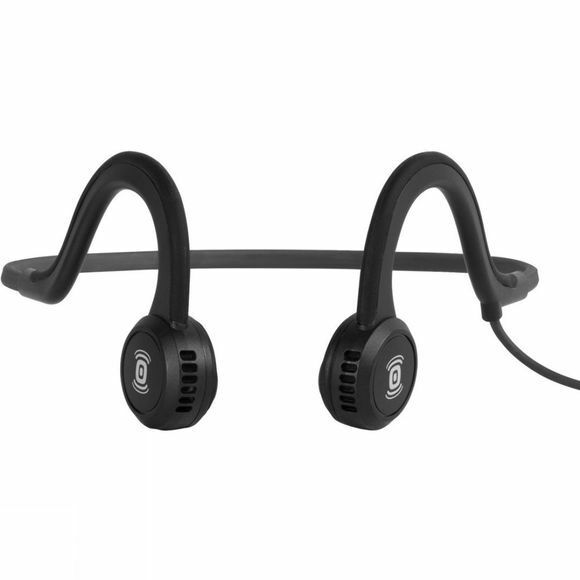 Aftershokz have incorporated their Premium Pitch technology for the perfect audio experience. Stay aware and stay safe this summer whilst you pound the pavements.